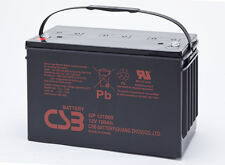 CSB Battery for UPS please call PC Mine Inc direct line: 781-1431, 0927-9391619. 6v/12ah. Gp6120. 6v/7.2ah. Gp672. 6v/4.5ah. Gp645. 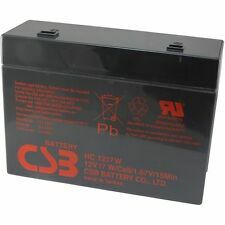 12v/9ah. Work with the following models & many more. Replicate of APC part# AP9827, 940-0127B, 940-127C and 940-0127E. 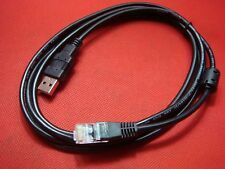 USB male - RJ45/50 (10pin) cable. Cable length approx 800mm. Than you for looking. CCTV Video BNC COAX Surge Protector Lightning Arrester Signal Protector Device. Adopt shielded aluminum alloy, protect video signal, data lightning protector device. 1 Video Signal Protector Device. The closer, the Better! Easy to install. Install between Ethernet and the protected device. To prevent the notebook being struck by lightning. With 8 Lightning protection tube. Material: shielded aluminum alloy. The closer, the Better! Easy to install. Install between Ethernet and the protected device. To prevent the notebook being struck by lightning. With 8 Lightning protection tube. 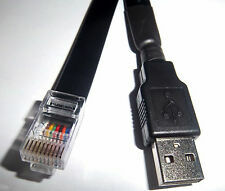 Connectors: RJ-45. Solar Panels:≥600W. Creative MPPT technology, efficiency more than 99%. 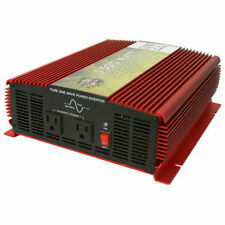 1 600W Grid Tie Inverter. AC Output Range:230VAC(190-260VAC). 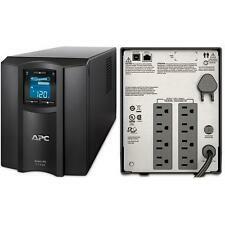 AC MAX output:650W. 1 Power Cable. Power Factor:>97.5%. Aluminum alloy housing, not rust, heat-resisting. Peak power: 5000W. 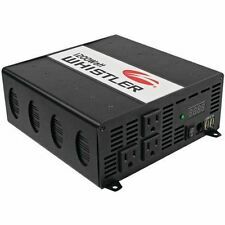 Rated power: 2000W. 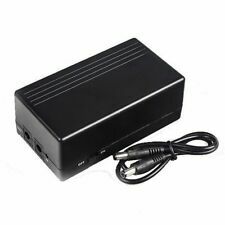 1 DC12V To AC 220V Solar Car Power Inverter. Principle: this inverter is used for changing the dc into ac. With digital display, DC12 V input, AC 220 V out. Application: mini electric grinders, mini electric tools, mini sewing hines, dvd, vcd,vcrs, fans, lighting and so on. Das Gerät ist sehr schwer,stand lange unbenützt herum. Computer Network Device Lightning Arrester. RJ45 Adapter Ethernet Surge Protector. 1 x RJ45 Adapter Ethernet Network Device Surge Protector. The closer, the Better! Easy to install. Install between Ethernet and the protected device first, "IN" end is for input and "OUT" end is for output to the protected device, then set ground wire well and straight. Ethernet Surge Protector Thunder Lightning Arrester POE Gigabit CAT5 CAT6. 1 Lightning Arrester. Ethernet Lightning Surge Protector PoE Gigabit 1000Mbs. Designed to protect Power-Over-Ethernet (PoE) data/communication lines in local and wide area networks up to 100 Base-T transmission speed. Output frequency: 50HZ. Input: DC 12V. Input reverse polarity protection: not afraid of input reverse. Output: AC. We are committed to resolve all issues in a friendly and satisfactory manner. Rate (item arrived). 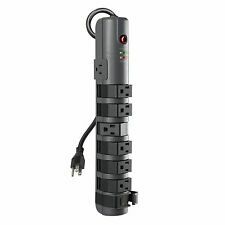 Holsem Surge Protector 12 Outlets with 3 USB Ports 6 ft cord Power Strip. 6 regular Outlets & 6 widely spaced Outlets, 2 USB Charging Ports with Smart IC Technology (5V/3.1A) and 1 usual USB Charging port. Note: we only have EU plug ，do not have any other type plug. 2 when in stall this protector one may directly hang it up on the wall by the hanging hole it back case. current range: 15 A(Max). 3 Obiects of Applicability air -conditioner,refrigerator ,freezing cabinet. Filtrazione EMI / RFI significa un suono migliore e un'immagine migliore. Le sovratensioni possono essere serie. Proteggi la tua elettronica dalle tempeste e dai picchi con Monster Power. Solo Monster ha una tecnologia MOV ignifuga che protegge molto più della semplice elettronica, ma anche della tua casa e della tua famiglia. Powervar Ground Guard ABCG152-11 66025-59. Tested working. Dell Basic Rack Power Distribution Unit Dell6031 6031 J542N PDU 4 C19 Outlet. Good for mining use or server use. Easily handles 4x S9 on 240v power. Maximum Load Power: 3000W. Maximum Current: 15A. With thunder protection and over-current protection device, the use of safety. Due to the light and screen setting difference, the item's color may be slightly different from the pictures. Puissance instantanée: 4000W. C'est un must pour vos voyages en voiture, vos vacances, vos activités en plein air et vos trousses d'urgence. 1 Manuel de l'utilisateur. 1 câble de prise de cigarette. We provide accurate and courteous service. We are Japanese. 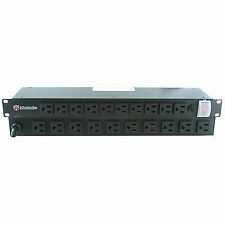 12 Outlet Surge Protected Power Strip - 19" Rack Mount. Network Grade AC surge suppression with EMI/RFI noise filtering. Circuit Breaker: 15 Amp. Rear Exit Cord. Standard 19" Rack Mountable. 5-15 (15A, 120V) molded plug & outlet. The boxes may have varying degrees of wear and non-OEM stickers and/or writing on them.